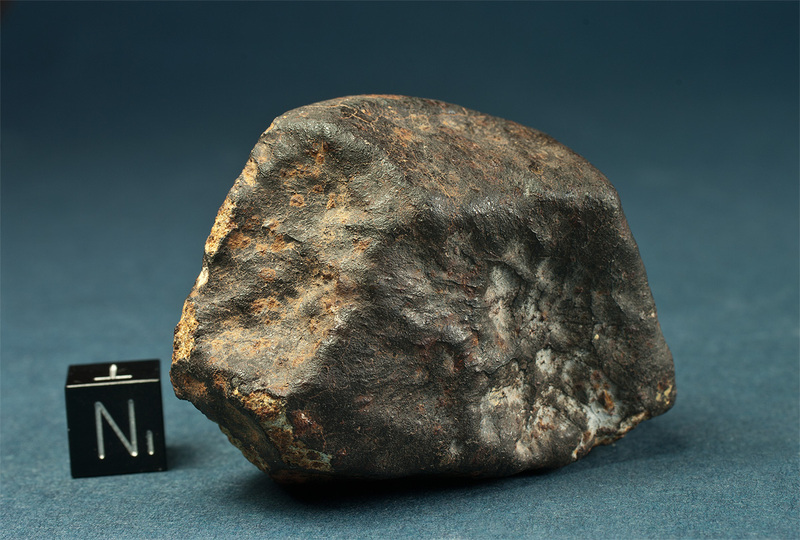 According to eye witness reports the fall of the Campos Sales meteorite shower was accompanied by a loud buzzing noise and a bright flash. Many observers throughout the area were intrigued by the fireball, the sonic boom and the whizzing noise of the falling stones that reportedly sounded like bullets. Several fragments were collected from a small strewn field 1 x 3 km immediately after the event by locals. The collection specimen pictured is a fully crusted individual with some degree of orientation and well defined flow lines on all but one surface.The front surface shows radial flow lines and lipping appears on the flanks. The trailing surface is coated with a thin secondary crust. Caliche is visible on the front surface and the otherwise fresh crust shows few rust stains.